What a pleasure it was to work with Kelly & Matt on their wedding. This couple is beautiful inside and out, their friends and family were all just as sweet as they are. Kelly and Matt used silver and yellow throughout there wedding, from the bridesmaids dresses to the candy bar. The Bride and Groom got married overlooking Baltimore Harbor and their guests were all seated in silver chiavari chairs. Cocktail hour was around the pool deck, where Kelly & Matt made cubes with pictures of them for each of the cocktail tables. The reception was in the grand ballroom and they set up a lounge for guests to relax and the head table was elevated so everyone could see the bride and groom. 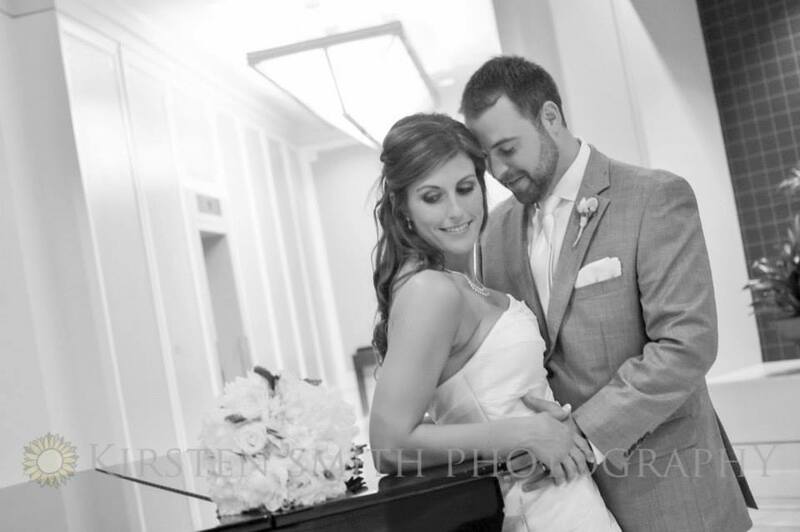 Kelly & Matt were a delight to work with and we were so happy to be part of their big day!